Free Sunglasses from Sock Hop! Lens me your ears (and feet). 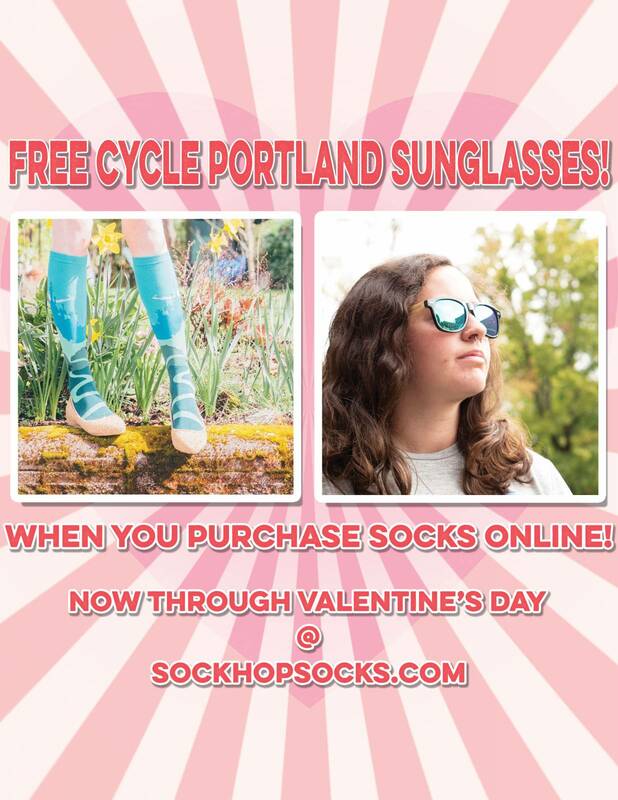 Cycle Portland is working with Sock Hop to provide sunglasses with each online purchase made from now until Valentine’s Day! Whether for you. your love, a casual acquaintance, a winter fling, the hilarious socks from Sock Hop are worth checking out. Buy now to claim your free sunglasses from Cycle Portland. Sock Hop is a creative sock boutique selling affordable and silly/stylish socks. Looking for a taco-dinosaur sock? They got it. Looking for a pug pun sock? They got it. Looking for a unicorn sock? They got LOADS! Add 5, 10, 50 socks to your cart with FREE SHIPPING and get your FREE sunglasses with it. If there’s one thing left to say, it’s that you should stock up on socks. People flock to our block to buy Sock Hop socks, but they need not. The prices will leave you in shock. Friends won’t mock, but they’ll certainly talk about your socks. Throw on these free sunglasses and remember… You rock.